ASK PH: Can Trauma Rewire the Brain? As we are not mental health practitioners it is difficult for us to predict how certain disorders impact the wiring of the brain. Based on our observations and the observation of a friend who does brain scans to determine cognitive functions, your brain is wired a certain way from birth. Culture, environmental influences, Enneagram type, Generation, etc. will influence how your type shows up, but you are always the same type. No rewiring occurs, but events in life can open you to different manifestations of the cognitive functions. For instance, I’m an INFJ. For the first part of my life, I typed as an INTP. I wasn’t an INTP, but I was living in a dominant/tertiary loop that was very unhealthy for me. Lately, I have been experimenting with psychedelics and am noticing an interesting awareness of “Authenticity” (Fi), so I am now typing as an INTJ. Does that make me an INTJ? Nope. I’m still definitely an INFJ. My wiring is still INFJ, but I am exploring emotions on a more internal framework which comes across as Authenticity (Fi). Does that make sense? As we grow and develop, we may enter different phases of our lives where different cognitive functions serve us better. However, from what we have observed many people with a personality disorder or massive trauma will manifest their non-dominant functions. In the car model, these are the passengers in the back seat – the 10-Year-Old and 3-Year-Old. So, an INTJ’s non-dominant functions would be Authenticity (Fi) and “Sensation” (Se). This would look like someone who may be very sensory indulgent (Se) and prone to seek emotional indulgence or demonize the intentions of others (Fi). 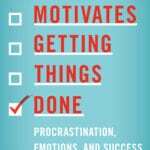 Motivation and relationship management may be a struggle. There may also be some interesting interplay with unhealthy Intuition, like hypercriticism, a resistance to new experiences, or the paranoid belief that the world is out to get them. If you are speaking of someone in your circle, I would recommend researching their cognitive functions and seeing how they show up in a healthy and unhealthy way. Then you can observe the person in question and see for yourself how they use their cognitive functions. On another note, it is very hard to type people accurately who have mental disorders either from trauma or personality disorders. For instance, I was recently typing a friend who had experienced a traumatic event when her live-in boyfriend killed himself. She answered all the questions as an ENFJ, but she was an ISTP. So, in the grip of trauma and grief, she showed up as the mirror image of her actual type. If you have a question, you think will be good for the PH community, submit them to info@personalityhacker.com and put “Ask PH” in the subject line. **The information contained on our website, blog, guest blogs, e-mails, videos, programs, services and/or products is for educational and informational purposes only and is made available to you as self-help tools for your own use. We are not trained mental health care providers or certified therapists. If you feel you need the help of a licensed counselor or physician, we encourage you to take whatever action you feel is in the best interest of you and your family. Charis Branson is a Medical Qigong practitioner, professional massage therapist, speaker, author and thought leader. 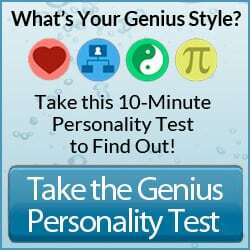 As an INFJ (Perspectives/Harmony in the Genius System) she understands many of the challenges that the Intuitives in the Personality Hacker community deal with. Charis is the Chief of Staff for Personality Hacker. A thought about the expression of one’s personality after trauma…Having suffered the shock of a loved one’s suicide 18 months ago, this comes from experience. On a personal note, in the face of what has felt almost like a personality change in the aftermath of my own traumatic experience, I have found the Enneagram system, especially the Levels of Type really helpful in understanding what was going on for me – the changes are a mark of the way my Type expresses itself as it becomes increasingly stressed (not a change of personality type). Finding one’s way back to healthier expressions of Type is the challenge – I’m still working on that – but simply having this understanding, has allowed me to do so with tenderness for my wounded self. I hope this might help you. Take care. 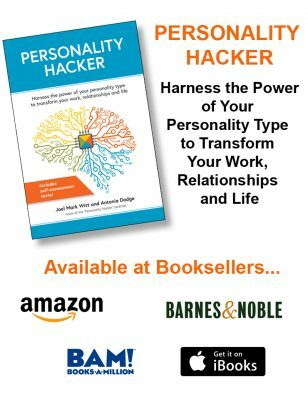 Charis, one of the things I love about Personality Hacker is that it is scientifically oriented. I like your answer overall, but I take serious umbrage with you including “Astrological sign” as one of the things that can influence how type shows up in people. I don’t think astrology has any place on Personality Hacker. Thanks for considering my feedback. Thanks for sharing your feedback. Astrology is an ancient typology system. Just because it has been reduced to weekly horoscopes doesn’t mean it isn’t a legitimate system that many people use and have believed in for centuries. Just as the cutesy articles you see online about MBTI don’t make that system less legit, horoscopes don’t make astrology less legit. We try not to judge systems that people find helpful. An INTJ Leo is going to be very different from an INTJ Pisces. Just as an INTJ 4w5 will show up very differently from an INTJ 1w9. Many people are as dismissive of MBTI and the Enneagram as you are of Astrology. Most of the maps and models we reference here fall more in the realm of philosophy than science. Our intention here at PH is to challenge people’s assumptions and encourage them to explore new horizons. There is a lot we don’t know, that can’t be measured scientifically. All we ask people to do is be open. Charis, thanks for your response. I must respectfully argue that equating astrology with the other systems discussed on Personality Hacker, undercuts PH’s reputation as a place for thoughtful and intellectually rigorous discussion of our mental processes. You have equated astrology with MBTI and Enneagram stating that there were people who thought each of these systems were bunk and that they, “fall more in the realm of philosophy than science.” While it is true that there are naysayers for every personality model, astrology and MBTI models are not comparable and neither of them are “philosophies”. While these systems (or personality models) share a common subject matter (viz., understanding human personality and behavior), their epistemologies are radically different. In other words, the way these systems acquire knowledge, define acceptable methods of learning and judge what information passes the smell test, is radically different and mutually exclusive. Cognitive function theory is based on empirical data (data collected through direct observation or experiment). From this, the theory is then refined and new hypotheses generated, which are in turn tested with empirical methods. Take for example the work Dario Nardi, Ph.D., is doing with brain scans at UCLA or the immense amount of scientific research conducted by the Myers-Briggs Foundation, which owns the MBTI personality inventory. These iterative, empirical, scientific processes are at the core of MBTI and cognitive function theory. In some ways, astrology may seem scientific. It uses scientific knowledge about stars and planets, as well as scientific sounding tools, like star charts. However, Astrology, whether we are talking about weekly horoscopes or in-depth INDRA reports, relies on the underlying belief (as opposed to observable data used in cognitive function theory) that astrological bodies influence our personality and behavior. This epistemological difference is as profound as night and day. And is why it matters so much that a non-scientific system like astrology NOT be grouped together with the other scientific models discussed on PersonalityHacker.com. And, Charis, I just want to clarify that if you believe in astrology, I’m not trying to hinder your pursuit of this. Even though I don’t find merit in Astrology, this doesn’t mean that I don’t think you won’t find something fulfilling in it. However, including such a non-scientific system among the other mental models discussed on PH will cheapen the impact PH will have in the world. They are like apples and oranges. It reminded me of a paper I did in college on whether or not the moon’s gravitational pull had any influence on people’s behavior. The answer was no, from a scientific viewpoint. We aren’t a giant body of water like the ocean. The moon’s gravitational pull has no more influence on us than a fly landing on our skin. So, when I hear of people acting crazy during the full moon, I assume it has more to do with a lot of other factors. I think the similarity I saw was that all the typology systems are based more upon observable patterns than actual science. But I have come to realize that I need to consider my audience. This response was intended for an NTJ and using Astrology as a comparison was a poor choice on my part. I have switched it out for something that is also a system of observable patterns, but hopefully more palatable to the Thinking audience.